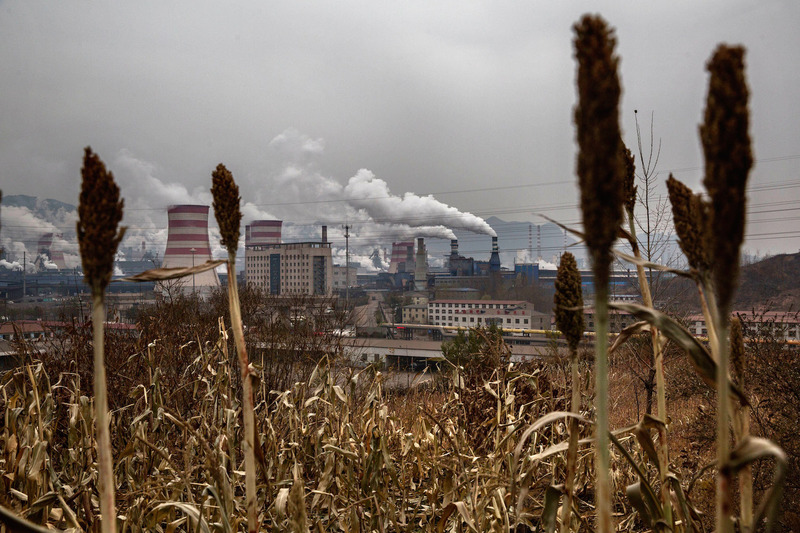 Smoke billows from smokestacks and a coal-fired generator at a steel factory in Hebei province, November 19, 2015. By Sara Shapiro-Bengtsen, a communications and research specialist working for the Regulatory Assistance Project’s China program, and Christopher James, a principal at the Regulatory Assistance Project. This article was first published by chinadialogue. Despite extensive efforts by the Chinese government to improve air quality, including the introduction of the State Council’s “Ten Measures” Action Plan and implementation of regional air quality control measures, air pollution recently worsened in the Jing-Jin-Ji region (Beijing, Tianjin, and Hebei). After months of improvement last year, air quality progress slowed and then stopped last autumn. Then for the first two months of 2017, air quality in the Jing-Jin-Ji region severely declined, with PM2.5 concentrations increasing by 48 percent year-on-year. Levels were more than ten times the World Health Organization (WHO) standard of 10 μg/m3, and well above the 60 μg/m3 goal that Beijing is supposed to achieve by the end of 2017. Some experts, including the Ministry of Environmental Protection (MEP), have said that increased industrial production is to blame, particularly steel, cement, and coke. However, there are many variables that affect air quality so it is difficult to know which activities have caused air pollution to worsen and how these activities interact. What is clear is that global best practices and experiences offer tools for mitigating the effects of industrial production on air quality. By improving the efficiency of steel production and expanding the successful energy and coal savings programs completed under China’s “Top 10,000” program, the country can save energy and reduce air pollution together. The Chinese government has successfully implemented large-scale energy savings program before. The Top 1,000 program targeted the top 1,000 energy-consuming companies during the 11th Five-Year Plan. This was a key part of reducing energy-intensity in China and saved over 100 million tonnes of coal equivalent (Mtce). This was followed by the Top 10,000 program, which ran during the 12th Five-Year Plan period and covered companies using more than 10,000 tonnes of coal equivalent annually. The program is assumed to have saved 250 Mtce. Apart from saving significant amounts of energy and coal, the programs also reduced emissions of key pollutants. For example, industrial boiler upgrades avoided an average of 170 tonnes of NOX and 410 tonnes of SO2 per facility every year, while optimization of industrial systems avoided an average of 150 tonnes of NOX and 350 tonnes of SO2. Energy efficiency efforts can be translated into air quality effects by using air quality models. These models can evaluate the degree to which emissions are reduced by energy efficiency measures. Modeling results would allow air quality officials to sort control measures by their efficacy to reduce pollution, and can prioritize which measures to tackle first. Officials can also include these measures in the air quality management plans they are completing and implementing across over 300 Chinese provinces, cities, and counties. Despite high-level policies prescribing the use of energy efficiency as an air quality strategy, local air quality plans often lack specific efficiency measures. Cities are required to formulate local air quality plans which include emission inventories as well as control measures and strategies to meet air quality standards. Institutional barriers prevent air quality and energy officials from working together and sharing information, though. For example, will energy efficiency projects that save polluting energy outside of an air quality official’s airshed be disregarded if the official’s only concern is local air quality improvement? To help officials overcome these barriers, the Clean Air Alliance of China has created a series of templates, which contain a stepwise process for including industrial energy efficiency projects in air quality management plans and permits. A new permitting system is being implemented to regulate all stationary pollution sources by 2020. One way to address the absence of energy efficiency measures in air quality plans would be to build on the success of the Top 1,000 and Top 10,000 programs and use the new permitting system to create a mechanism for linking energy efficiency to air quality. The key elements of the Top 10,000 program for coal and energy savings can be included as specific terms and conditions in operating permits. The permitting system could also require facilities to complete energy efficiency audits as a condition for receiving a construction or operating permit. Audits identify energy savings projects that can be completed on-site, and a permit will require all cost-effective energy savings projects to be completed as part of the criteria to receive a permit. Once the permit is issued, periodic energy audits, say every five years, could be carried out to further improve energy efficiency. The E.U. Industrial Emissions Directive offers inspiration. Its holistic approach stipulates that all industrial activity be evaluated on a plant-wide basis. This avoids potential unintended effects, such as an energy efficiency measure that increases water usage. While using this integrated approach, the definition of Best Available Techniques (BAT) accommodates industry- and site-specific practices. As compared to the prescriptive U.S. practice that focuses only on air quality and requires the “best” technologies to be installed on each and every emission point, the E.U. system requires the facility to install BAT for all media: air, water, and waste. A similar, facility-wide approach is useful in China, as industrial practices changes rapidly, and water and land pollution remain significant environmental concerns. More efficient steel production will particularly benefit the Jing-Jin-Ji area and other areas in the proximity of steel production. Increasing recycling rates improves efficiency, as recycling steel requires only one-third of the energy used to produce steel from iron ore, and also emits much fewer air and water pollutants. During the 13th Five-Year Plan period, China aims to double the share of steel produced from scrap compared to the 12th Five-Year Plan period, while reducing absolute steel output. However, the Chinese steel industry will still need to drastically increase recycling rates to fully utilize the estimated quantities of available scrap. As seen in several E.U. countries, officials can encourage steel recycling by promoting sorting, banning landfilling of recyclable materials, or making landfilling the most costly option. The Top 1,000 and Top 10,000 programs demonstrably reduced emissions of key pollutants. Building on these programs to accelerate energy efficiency practices and incorporating efficiency measures into air quality plans will help to ensure that industrial activities also contribute to improved air quality.